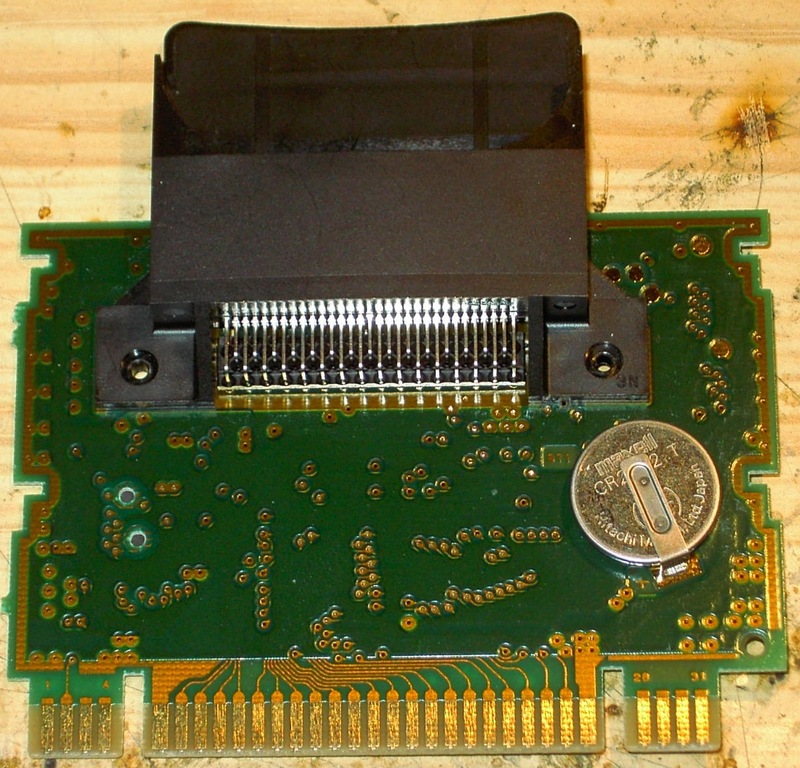 Internals of a BS-X Cartridge. Actually posting this because it seems the ZSNES forum is down and so I can’t track these down there. 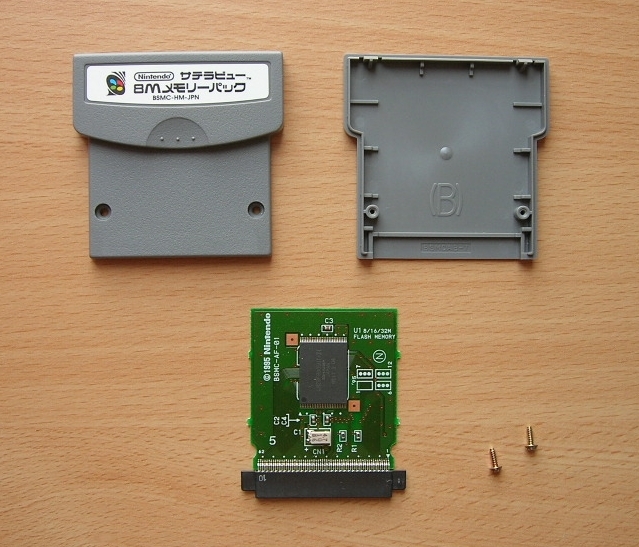 I believe posted there was also a picture of the Satellaview base’s internals, but I seemingly lost track of it. Blast! Of note are two chips in the back, the “4M PSRAM” chip and the “256K SRAM” chip. I forgot how much of this is speculation and how much of it is actually tested/verified, but the 4M PSRAM is believed to be the extra memory space the Satellaview uses, where many key “Portions” of Soundlink Game content disappeared to – including that BS Fire Emblem CG Art and BS Zelda: Inishie no Sekiban dungeon tiles. As far as I know, there are no PSRAM dumps going around. The “256K SRAM”… I’m guessing this is the standard SRAM with more traditional “Game save” content. 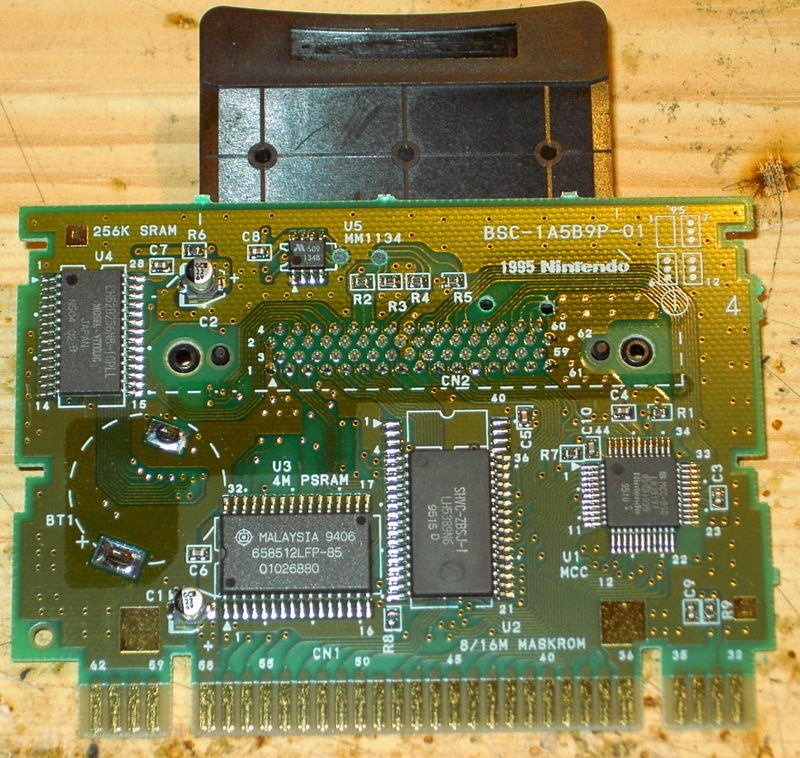 I do know that many BS-X Cartridges going around, even today, have save data about the world of BS-X inside them. This data has the ability to store things such as the last season the BS-X was played in as well as various seemingly-BS-X-related “items” you can use in the item menu. Since I can’t think of a good way to close this post, here’s a picture of the internals of an 8M Memory Pack which I wandered across on Google Image search. of how calmly and sensibly he’d tried to share his feelings. in Inherit the Wind, “That’s why he hasn’t an enemy in the world, only his friends hate him. « Redumps. Because sometimes identical ROMs happen, except for the times they aren’t -that- identical.